“We all love the oceans” is the sentence that stuck in my mind during a recent presentation I attended at our headquarters in Germany. The event was part of the Speaker Series, inspirational talks which are regularly organised to stimulate employees, make us think outside the box, as well as be externally focused. This event particularly touched me and I want to share with you why. Not only because of the huge issue it addresses, but also because it strongly resonated with me in regard to how we can face life and the challenges that come with it. I know it might seem weird, coming from me. After all, I was born in northern Italy, where winter is foggy and the ocean is far away. And I live in Germany, close to the Alps.So why did this sentence stick in my mind? In its simplicity, it gave the challenge we were talking about, the pollution of the oceans, a completely new perspective, a human dimension and a sense of urgency. We all love the oceans, don’t we? BUT Oceans are in danger. According to an international team of ecologists and economists, by 2048 the world’s oceans will be empty of seafood. The cause: the disappearance of species due to overfishing, pollution, habitat loss, and climate change. Here is when our guest speaker comes into play. 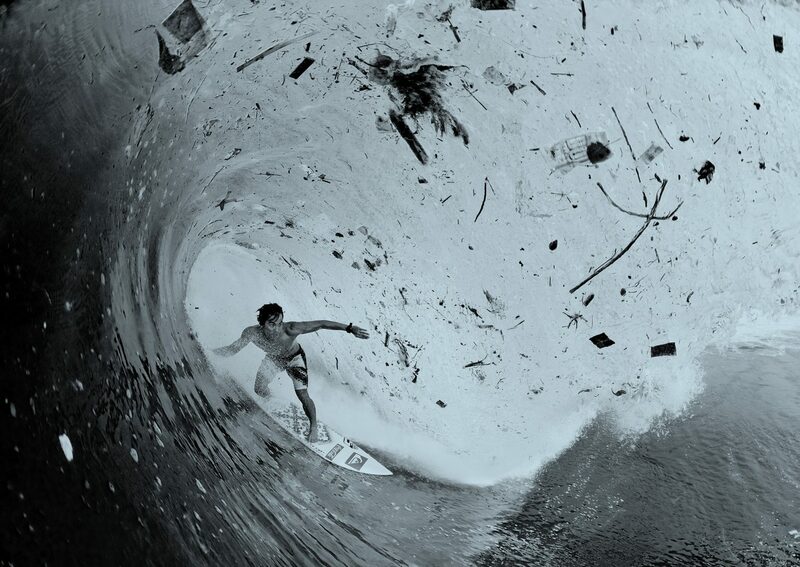 Cyrill Gutsch, the founder of Parley for the Oceans, a movement that raises awareness about the issue of ocean pollution through the so-called “Parley Talks”. On top of this, Parley has embarked on a mission to “retrieve ocean plastic debris from the shorelines and out of the open sea and turn it into valuable material for the fashion industry” and “to develop alternative materials which substitute plastic in general”, which is accomplished in close partnership with the material innovator Bionic Yarn and through collaborations with major brands and a network of artists, designers, scientists and environmentalists. You might say, “Here comes another environmental project”. Wait a minute. This is different, and this is why I found Cyrill’s presentation so inspiring. Cyrill is a creative guy, a brand consultant who became aware of how badly damaged seas are only a few years ago and since then has decided to activate himself, his expertise and his network in this cause. 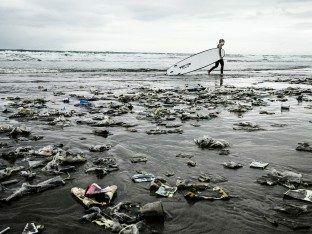 What I found fascinating is that whether you like the ocean or not, whether you use a lot of plastic in your daily life or not, there are definitely a few learnings you can apply to how to face life and the challenges that come with it. 1. No challenge is too big. Or, as we say here, Impossible is Nothing. Plastic is everywhere and as of nowadays it is almost impossible to think about a world without plastic. Still, you need to have a vision, if you care about something. Be bold. Be positive about overcoming this challenge. Parley’s ultimate goal is to clean up the oceans from plastic debris. 2. Find out how you can make a difference. Be part of the solution. As Cyrill said, if you are not happy with something, challenge the status quo. 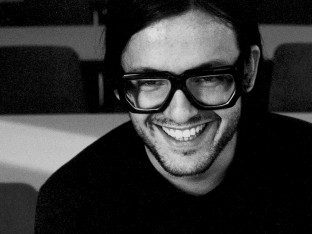 In his case, he started looking at plastic as a resource, and not as waste – and this led to a specific project which turns the plastic collected from the ocean into a resource to produce new textile fabric. Isn’t it fabulous to see how recycled plastic can become a cool wearable item? 3. Have a plan and a bias for action. Make concrete action points. 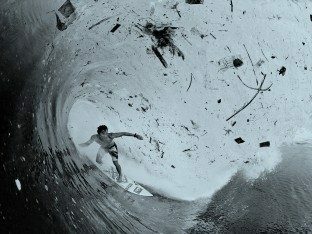 In Parley’s case, plastic collection has started according to an “island by island project”, with Hawaii, Maldives and Bali as priorities. 4. Be honest, and make it human. There is no shame in admitting that you are not perfect. Nobody out there believes in perfection anyway. Cyrill is not a tree hugger (he clearly stated it during his talk), and Parley knows their journey will face a lot of obstacles, but they believe in it and they try hard. Because they, as we, love the oceans, remember? If it is a big project, you know it will not happen overnight. This is why you need to be perseverant and focused. I really appreciate Cyrill taking the time to talk to us, as well as many other brands, to show how we can all play a role in this project. Their perseverance took them up to the United Nations, where they held a talk about the issue! I joined this meeting expecting to learn something about the environment. As I do sustainability communication, this is a topic that is very close to my heart. During the talk, I was faced with an urgent issue, as 2048 is getting closer and closer. But I left the meeting completely inspired and even more aware that if there is a will, there is a way. Maybe people are wrong when they say that life lessons rarely come in presentations. Wow. Some powerful images and important words. It's nice to see that adidas is proactively working towards solutions. It would be fabulous to see a collaboration in the future (or adoption of a similar process).